ESET, a leader in information security, today announced it has been awarded the highest designation in the Innovation, Product, Market and Overall Leader categories in the 2018 Kuppinger Cole Leadership Compass Enterprise Endpoint Security: Anti-Malware Solutions. The annual report by Kuppinger Cole, examines the key vendors in the Enterprise Endpoint Security market, with a special focus given to Enterprise Anti-Malware Solutions. In this evaluation, Kuppinger Cole assesses product and service functionality, innovation and the relative market share of each vendor evaluated in the annual report. In the “Innovation Leadership” category, Kuppinger Cole recognizes leaders as vendors who are deploying new technologies and features designed to detect and remove sophisticated malware in current or upcoming products. ESET is praised for having a multi-faceted detection array, helping to identify and thwart threats facing enterprises. Kuppinger Cole also notes ESET excels at detecting file-less malware, polymorphism and ransomware. The report further evaluates each vendor on five pre-selected security criteria essential for decision makers of enterprise-sized organizations. 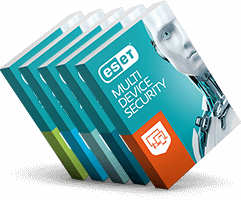 ESET received a rating of “strong positive” in the Functionality, Integration and Usability categories and a rating of “positive” in the Security and Interoperability. These ratings recognize ESET’s expertise in delivering advanced and scalable security solutions to businesses in the enterprise sector. In the category of “Overall Leadership”, ESET placed highly due to its thirty year history of fighting malware and delivering innovative products and solutions to the market. Kuppinger Cole identifies “Overall Leaders” by a combined rating in products, market presence and the innovation categories.